2019 is SHAPING UP TO BE A BIG YEAR FOR BUREAU PROBERTS, WITH THE STATE GOVERNMENT RECENTLY ANNOUNCING THEIR COLLABORATION WITH URBAN ARTS PROJECTS ON THE AUSTRALIAN PAVILION FOR EXPO 2020 IN DUBAI. The Asia Pacific Design Library visits the studio to learn more about the practice. 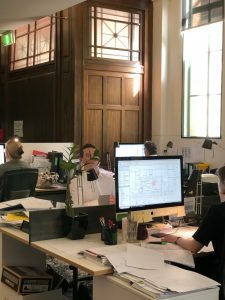 HOUSED IN A HERITAGE BUILDING BUILT IN 1937, BUREAU PROBERTS OPERATE AN INTERNATIONALLY RENOWNED PRACTICE THAT IS KNOWN FOR SKILLED COLLABORATION WITH ARTISTS AND THEIR UNCONVENTIONAL YET RELEVANT ARCHITECTURAL RESPONSES. 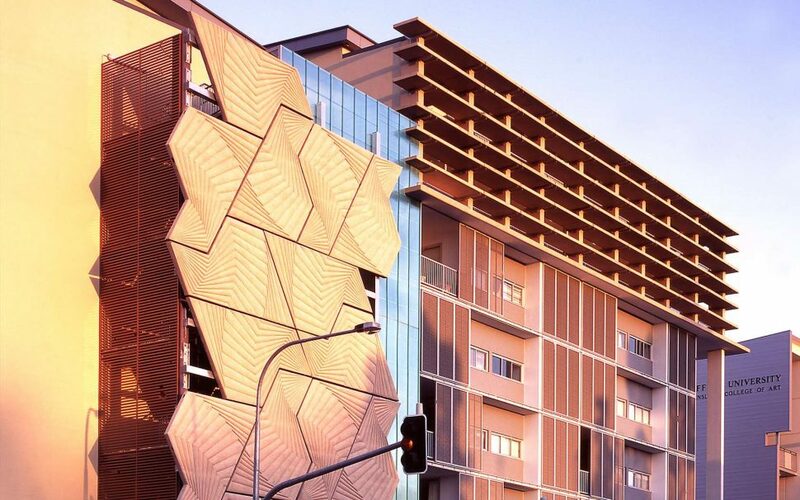 Situated in the Adelaide St building for 8 years, the team enjoy views to Anzac Park, a close proximity to central station and buses and a stately entrance. Many of the original features of the building are celebrated including stunning parquetry flooring and ornate grills. True to Bureau Probert’s strength in incorporating artists work, a fine Adrian Clifford art work welcomes you in the reception area. The team of 35 employees work in an open plan space. Kelly Geldard ( Associate Director) says this style of working helps collaboration develop organically and leads to better communication between teams. Liam Proberts (Managing Director) believes the size of the firm is perfect as it allows them the opportunity to take on a broad range of projects, while still allowing for strong collaboration across the whole team. There is no room for ego in the Bureau Proberts practice. Doug Roxburgh (Project Design Director) says of Proberts “Liam is capable of giving away to get more back. This is difficult to do when you are embedded in the creative process.” Liam agrees that the “dance” of a project is the precisely executed attachment and detachment from ideas and decisions. He asserts that it is important to doggedly attach to a project and commit to driving it forward. However, he stresses that it is also important not to get too attached to your own ideas for a project. Once you are able let go of your own ideas, it allows you to see that it’s about the project, not about yourself. Bureau Proberts recognises that to relinquish ego opens up new possibilities but must also be married with the laser-like commitment to then push every contingency to achieve results. The classic ada ge “make haste slowly” aligns nicely with the ethos of Bureau Proberts. This is all about having the backbone to grab opportunities and then following through with a considered and rigorous approach. An example of this is the practice’s willingness to tackle architectural competitions. Some of Bureau Probert’s most satisfying work has sprung from such challenges. The team is attracted to competitions because they force exploratory work which leads to an increase in energy, breadth and research within the practice. The National Police Memorial in Canberra came out of a competition, as did one of their first collaboration with an artist; Galleria in South Bank. 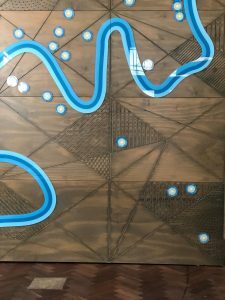 Bureau Proberts has a long-standing and successful relationship with Urban Art Projects (UAP) and has strong links with the artistic community in South East Queensland. When involving artists in projects, they believe the role of the firm is to express what the artist may want, rather than calling upon artists to realise the practice’s artistic ideas. The team is keenly interested in the artist’s view of the world and how they would respond to a project. 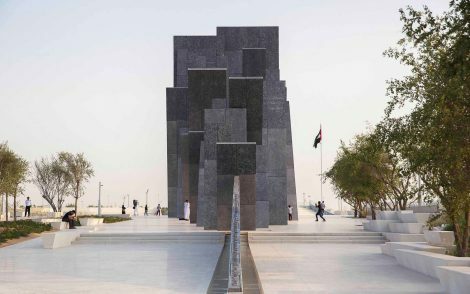 Proberts says, “We treat our buildings like an expression, not just fulfilling a brief.” Notable projects involving artists are Wahat Al Karama in Abu Dhabi, Kaust Beacon in Kaust, Saudi Arabia, Newstead Series in Brisbane and the Bellbowrie Pool in Brisbane. Bureau Proberts understands that a client is investing a huge amount of personal and financial collateral when engaging with them and collaborating with artists. These risk levels and commitment offered by the client are massive driving factors in the decision making process. They are coupled with an array of considerations like planning acts, materiality requirements, regulations and workplace health and safety considerations. As Proberts says, “That’s what makes it “architecture”.